Simple Salon is an appointment scheduling software that streamlines the booking process of hair and beauty salons, as well as day spas. Its features include SMS messaging, mobile accessibility, marketing tools, reporting, accounting, and more. We compiled Simple Salon user reviews from around the web and determined that it has generally positive ratings. We also shared its available pricing options. Users who recommended Simple Salon said that they find it easy to use and conveniently accessible via devices like tablets or mobile phones. Most of them said that the software effectively keeps track of appointments and client information. They also like that the customer support team is always responsive. There weren’t a lot of negative reviews about Simple Salon. However, some of the users complained about glitches in the SMS messaging feature, which disrupts their operations. A user who left a negative review of Simple Salon on G2 Crowd said that she finds the SMS messaging problematic. According to her, she received complaints from clients saying that they did not receive messages of confirmations and reminders or that they got them all at once. However, she said that the customer support team was quick in fixing the problem and that she would still recommend the software for its overall performance. Simple Salon has three subscription plans: Single ($19/month), Standard ($49/month), and Unlimited ($99/month). 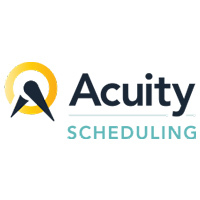 The main differences between the plans are the number of staff and the number of appointment columns (bookings available under a staff member). There are also startup add-ons ranging in price from $199-$499 (one-time fee) for the initial setup and use. The startup add-ons include the following: Online Training ($199), Data Import ($399), and Start Up Kit ($499). Check out the list below of some of Simple Salon’s features. There was no mention of a free trial or product demo on Simple Salon’s website. 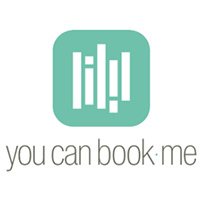 Can Simple Salon users export the data inputted in the booking system? Yes. Simple Salon has a built-in export feature that enables users to extract reports and data. For additional information that users may require, Simple Salon can produce customized data exports, which cost $99 per file. Is it safe to use Simple Salon in terms of privacy and data protection? Yes. With Simple Salon, data is secured and encrypted with the same technology used by banks. This is to ensure that a user’s data is backed up and protected at all times. This video provides a detailed walkthrough of how the Simple Salon software works. Not sure if Simple Salon is the right fit for you? 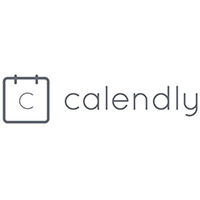 Read our reviews of all top appointment scheduling software or check out one of these three Simple Salon alternatives.